Back in 2016, a team of archaeologists came across an ancient Egyptian mummy with symbolic tattoos that, they believed, were the first of their kind. According to the researchers, the 3,000-year-old mummified female had her body tattooed with a number of different symbols, including cows, lotus and divine eyes, which could represent her religious status or ritual practices. 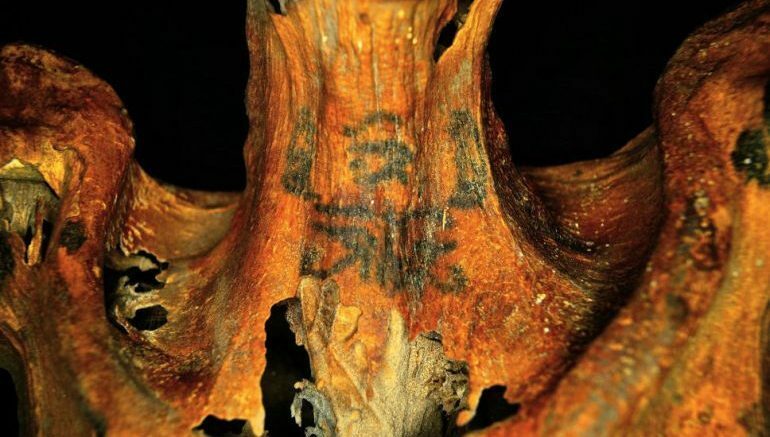 What made this discovery significant is that it marked the first time that researchers had an Egyptian mummy with tattoos depicting recognizable objects, rather than abstract patterns and designs. 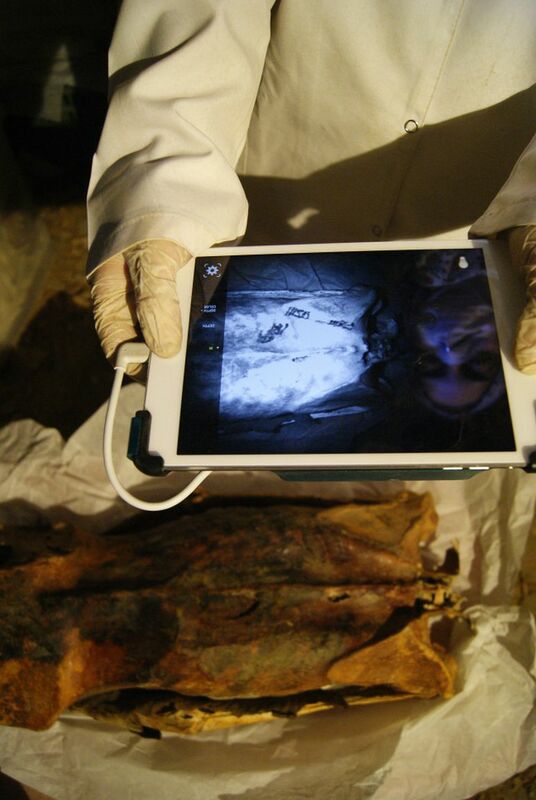 The mummy, as the team pointed out, was uncovered at a site near the western bank of River Nile. Between 1550 BC and 1080 BC, the area was home to a village, known as Deir el-Medina, which was populated by the artisans and workers responsible for building the royal tombs of the Valley of the Kings. 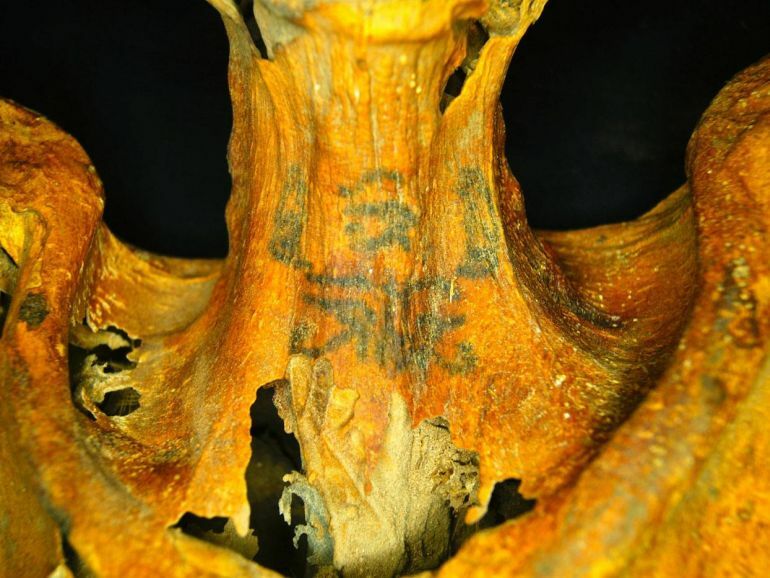 It was while examining the skeletal remains at the Deir el-Medina site that Stanford bioarchaeologist Anne Austin, who was working at the time for the French Institute of Oriental Archaeology, first stumbled upon the fascinating symbols on the mummy’s neck. She initially thought the markings had been drawn on the woman’s neck. As Austin explained, it was customary in ancient Egypt to put amulets around the deceased’s neck for burial. At times, the amulets were simply painted or even tattooed on the torso, as was probably the case with this mummy. 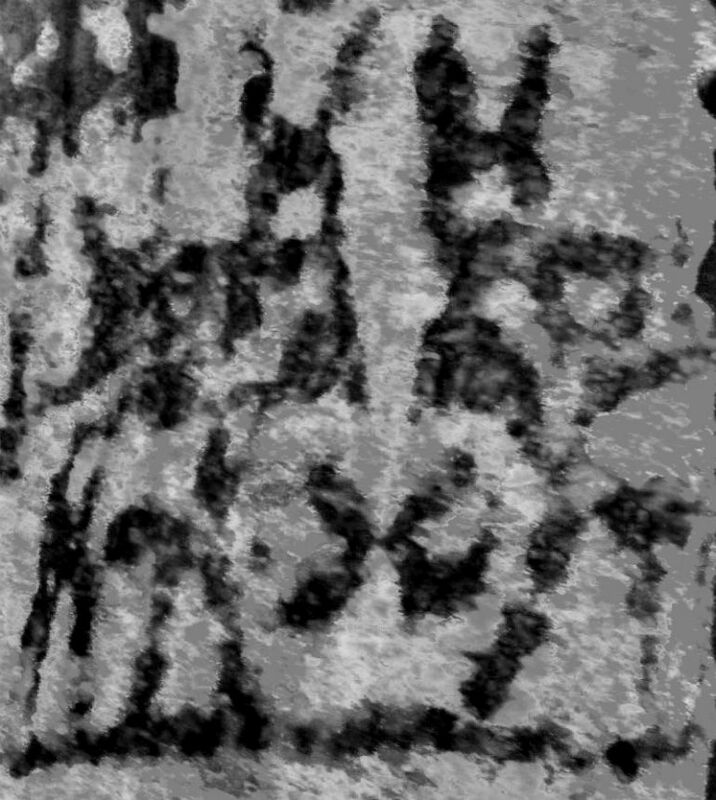 As we started to analyze the markings on the arms, we realized that these markings were shrunken and distorted. Therefore, they must have been made prior to mummification… Several are associated with the goddess Hathor, such as cows with special necklaces. Others — such as snakes placed on the upper arms — are also associated with female deities in ancient Egypt. At the nearby site of Deir el-Bahri, the combination of the Wadjet and nefer have been interpreted as a formula for the phrase ‘to do good. Interestingly, all of the tattoos found so far have been exclusively on women, though we are curious to see if that trend continues as more tattoos are identified. And finally in case you are wondering, in spite of these particular set of tattoos being around 3000-years old, they are not the oldest known tattoos ever discovered by archaeologists. That honor actually belongs to the 5300-years old Ötzi the Iceman, who was found quite unintentionally by a group of hikers in 1991 in the Oetztal Alps (in modern-day north Italy).